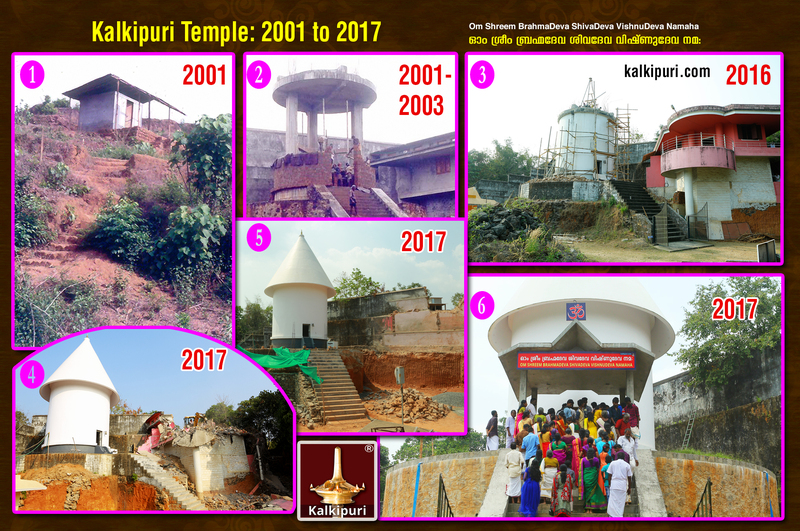 Kalkipuri Temple: Devotees pray directly to Lord Brahma, Lord Shiva and Lord Vishnu irrespective of caste, religion, gender, age, nativity etc. Divinity proved : Kalki Purana by Sages Agastya & Vishvamitra. Divine conversation of Lord Shiva and Parvathi Devi. Divinity proved in Astrology (Swarnaprashna & Thamboolaprashna held in 2003). Insect Free Oil Lamp [Patent Protected. Application No. 201841003006. International Application No. PCT/IN2019/050054. Design Patent Protected (Old Model Design Patent No.225592)] is used in the Kalkipuri Temple. Inventor: Kalki.